Colon cancer is one of the most commonly diagnosed cancers in the United States and is a leading cause of cancer-related death. In 2000 alone, nearly 50,000 Americans died from the disease, which is highly curable if detected and treated early. 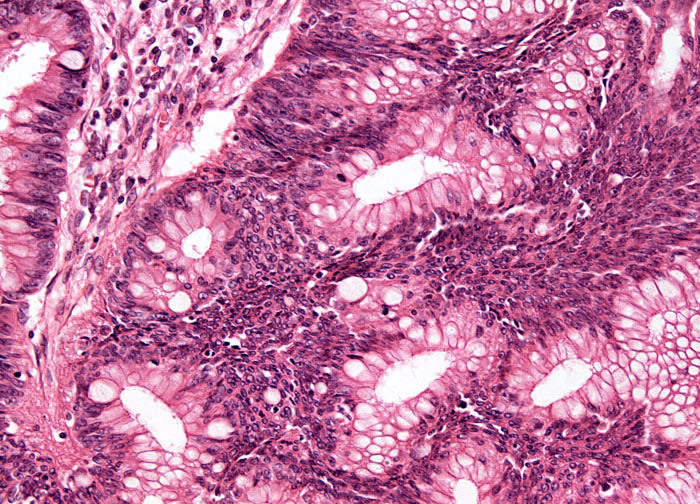 An estimated 95 percent of all colon cancer cases involve the glandular tissue present in the colon wall, which is normally active in the secretion of materials to lubricate waste products before they are excreted. Such cancers typically develop from benign tumors called adenomas and are referred to as adenocarcinomas. Overall, larger adenomas are more likely to develop into malignant growths than smaller adenomas.